Want to stay on top of a course? Want to prepare for an exam? Or maybe you want extra help on homework? The Math Lab has it all! Location: The first floor of the library. It is next to the Resources Information table. There are tutors for a variety of subjects: Math, Chemistry, Biology, Physics and Statistics. These sessions are walk-in, just make sure to sign in at the computer at the front of Math Lab / Writing Center. 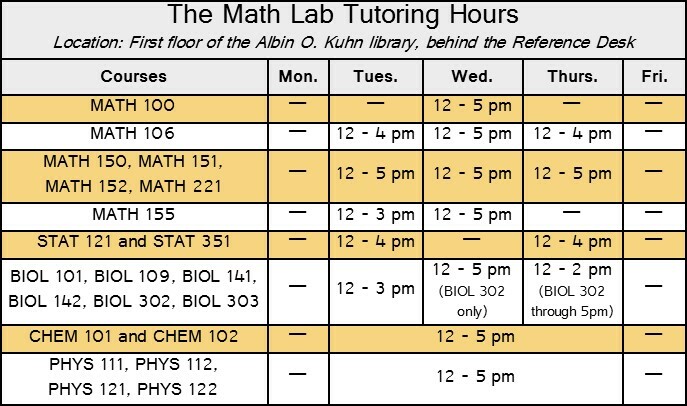 Visit www.umbc.edu/lrc/summer_tutoring.php for more info!